I'm looking for a source of the umami flavour to add to various dishes. However, since I became vegetarian I can't think of a good source for the flavour. I used to use Worcestershire sauce, or Nam Pla (fish sauce). I can't think of a vegetarian source of the flavour in the same vein though. I've tried soy sauce, and it does work, but it imparts too much saltiness to the dish. The Umami information Center has a list of Umami-rich foods along with natural concentrations of glutamate. I've copied some of their list below (included some meats for comparison) in case the link disappears (concentration number is mg glutamate/100g food). There's also some information at the above link about how to prepare the foods to maximize the umami taste. You don't specify that you're looking for a natural source, so consider that Monosodium Glutamate (MSG) is basically nothing but a concentrated dose of umami (which is defined by a relatively high level of L-Glutamates). It's not too difficult to find, especially if there's a bulk food store near you. You can also find it marketed as Accent seasoning (MSG is the predominant ingredient). The suggestions to use MSG, Marmite (any strong yeast extract) and Parmesan are all very good. I tend to add MSG if food is just for me, as many people complain about it as an additive despite it's ubiquitousness in nature. In certain dishes, just adding a small chunk of parmesan to the mixture works very well. 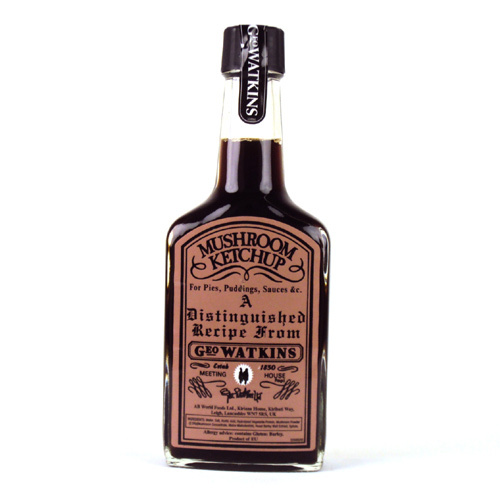 I sometimes use "Mushroom Ketchup" for this purpose, as that is quite a powerful savoury enhancer. I use dried shitake mushrooms to make a dashi and it works really well, miso also will help impart those flavors. parmesan cheese is, i believe, the highest concentration of umami in the food world. marmite may be the second highest. using Glutamate powder (MSG) seems easy, too. not sure how high they rate, but liquid aminos have naturally-occurring glutamates, too, and you can generally find a bottle of that in any health food store or health food section with supplements. I often use dried forrest mushrooms for this purpose. I soak them and then use both the mushrooms and the soaking liquid. Other good vegan umami sources are nutritional yeast flakes and tomato paste. Nutritional yeast is a family favorite. Also, porcini/shiitake mushrooms are excellent. Use the one most appropriate to the dish. I've made a great savory salad dressing with tahini, tamari or soy sauce, and some olive oil. Mix ratios to your optimal consistency. The addition of tahini and olive oil helps cut down on the raw saltiness of the tamari/soy. Not the answer you're looking for? Browse other questions tagged substitutions flavor vegetarian or ask your own question. Are there substitutes for Parmesan without the aged cheese flavor? What can I use as a substitute for hoisin sauce? How can I make a raw vegan shrimp paste substitute? What actual effect does a Parmesean rind added to soup have? Which foods are high in umami? What's a good vegetarian substitute for Worcestershire sauce? What could I use in a vegetarian b'stilla? What's a good bible on vegetarian cooking? What can I use instead of Sriracha if I only want to make a dish non-spicy, but similarly flavorful? Is there a good way to make vegetarian carbonara?